If your family loves camping, you probably also have a favorite form of camping, be it tent camping, RV camping, or backpacking. (Hint: for Trekaroo campground tips for each style, check out our post on what makes a great family campground!) But there are more options. Why not experience camping without a tent? 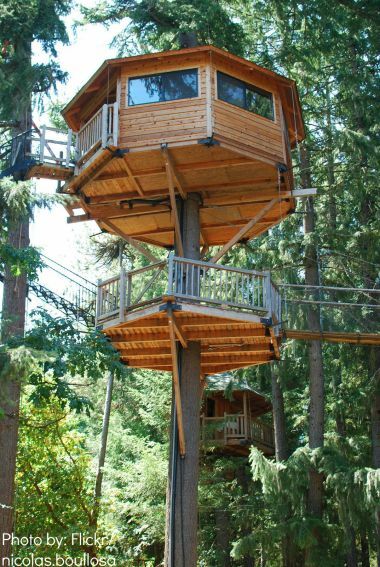 Why not take your family on a treehouse camping adventure? 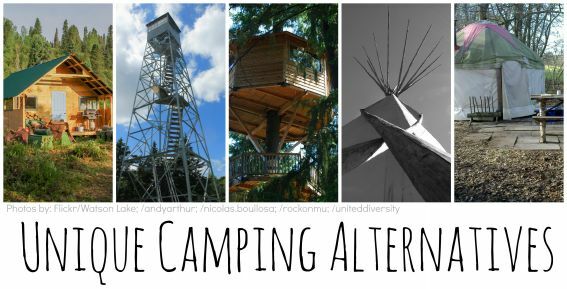 Or spend the night in a yurt, cabin, teepee, or fire tower? 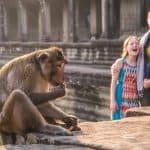 Alternatives to camping are great ways for families to up their vacation experience without upgrading to a hotel or lodge. 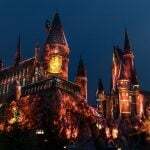 Just be sure to book them early…these fun and affordable vacations fill up fast. 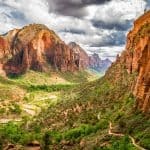 Read on for four great camping alternatives to try this year! Already wildly popular in West Coast coastal campgrounds, yurt camping sites are being added to a number of state park campgrounds across the country. What is a yurt camping, you ask? 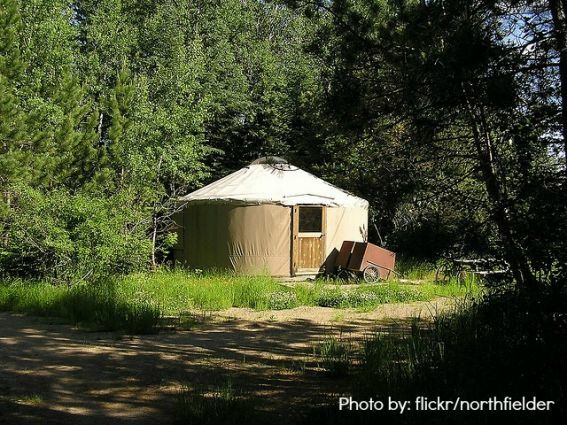 Picture a Mongolian style yurt–you know, circular, with canvas walls and a wood platform floor–and place it in the Pacific Northwest or Colorado Rockies. Add a heater, electric lights, and in some cases, even a kitchenette and bathroom, and you’ve got a camping experience with the authentic feel of tent camping without the hassle. When yurt camping, families can leave the air mattresses at home. Yurts come with futon or bunk bed style beds plus mattresses (most require you bring your own bedding). 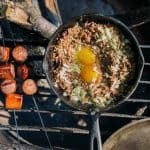 There’s no need for the kitchen gear either, unless your yurt comes without one, in which case it’s easy to set up a camp kitchen on a yurt’s front deck or protected porch. We find it blissful to turn on a light to read at night, convenient to play board games at the yurt table, and still just as much for for the kids as tent camping. Our favorite yurts: the collection in Sunset Bay State Park, Oregon. Look for the widest selection of yurts in Oregon and Washington state campgrounds, as well as the ‘glamping’ variety at private campgrounds elsewhere. Often found in the same parks as yurts, single-family camping cabins usually come equipped with a small living space with table and chairs as well as bunk-style sleeping arrangements. If yours comes with a kitchen and bathroom, it’s really more of a vacation home than a camping cabin…and you got a deal! 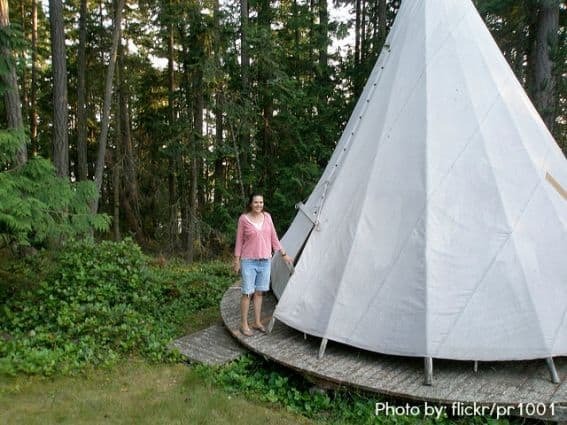 We’ve spotted teepees in some state parks as well, but they are generally located in private campgrounds on and off Native American reservation areas. Teepees are usually bare-bones. Bring your own sleeping mattresses and sleeping bags, and plan to make food on a fire outside. 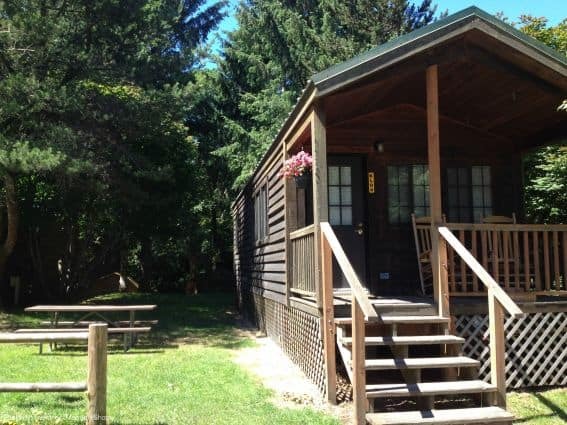 Our favorite cabins: Silver Falls campground cabins in Salem Oregon. Our favorite teepees: Ka-Nee-Ta campground in Warm Springs, Oregon. A category all its own, treehouse camping is a hybrid between an adventure vacation and a B&B stay. 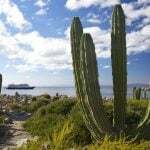 These unique properties are privately owned, often include breakfast or dinner, and feature outdoor recreation. Some allow tent camping on the premises, bonfires, and large groups. Our favorite: Out ‘n About Treesort in Cave Junction, Oregon. This property is kid-heaven, with dozens of hand-crafted tree houses connected by rope bridges and platforms. 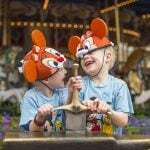 (Think Swiss Family Robinson times 20!) Each treehouse is different, so it’s important to peruse your options carefully before booking. It helps to call ahead: the treesort’s staff can help pair your family to the perfect treehouse given your children’s ages, needs, and abilities. At Out ‘n About, daily family fun includes zip lining, horseback riding, hiking, and exploring nearby Oregon Caves National Monument. The Oregon coast is only miles away, and there’s a natural swimming hole on the premises. Out-of-service and even active fire towers are open to booking many nights per summer. Staying a night in a wilderness fire tower takes some serious planning: first of all, the limited nights available to civilians fill up fast. Secondly, it can be hard to know what’s out there. 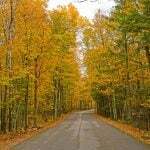 Start with your state’s forestry or national forest website, or Google fire tower lodging. Families will need to be willing to drive some distance to a fire tower, and sometimes need to hike into the destination. Almost always, a four-wheel drive vehicle is needed. Once at your fire tower home for the night, you’ll find sleeping accommodations and a kitchenette, but sometimes not much else other than the views, which is why you came. 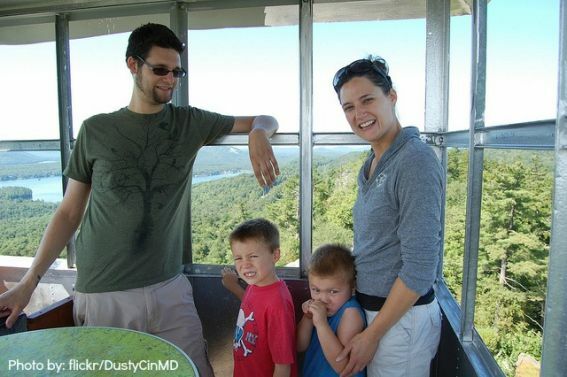 The isolation of a fire tower stay is fantastic, but due to serious hiking, heights, and lack of facilities, families with small children need to be familiar with the wilderness and extra diligent. 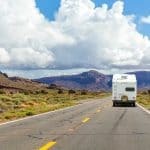 If you haven’t been to a KOA (Kampgrounds of America) recently, you may want to check these campgrounds out! Unlike years ago, when this brand was primarily for RV campers, it now has cozy camping cabins at most locations. Families can choose between a deluxe cabin with multiple rooms and kitchens or kitchenettes, plus full bathrooms for some ‘glamping’, or opt for a smaller standard cabin, which has bunks and a table and chairs, plus electricity and heaters (but no bathrooms, usually). We’ve stayed at KOAs near outdoor destinations, like the Redwoods KOA in Crescent City, California, and ‘journey’ KOAs, which are stopovers along interstates during road trips. In either case, our kids like them much better than motels! The Appalachian Trail is part of the American outdoor culture, but hiking it takes months (and dedication). Instead of tackling it without support, we planned a trip at Appalachian Mountain Club’s series of mountain huts in the White Mountains. 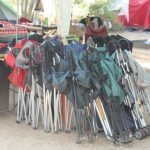 Planning this type of camping trip takes knowledge of the AMC system, but the effort is well worth it. 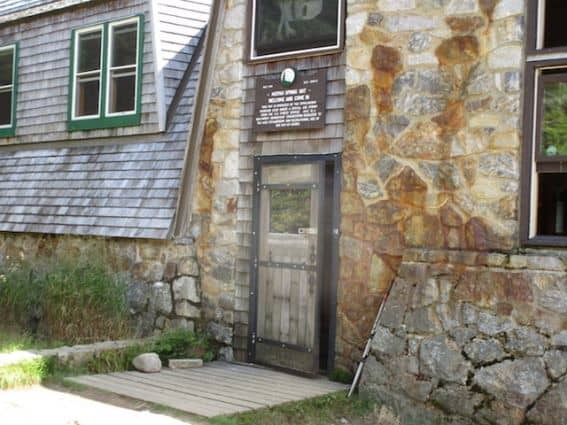 Kids can easily hike the few miles to the huts in the heart of New England, where they’re welcomed by the staff (or ‘Croo’ as they call themselves). These huts are not small, but rather quite massive, with room for 60 more more! Meals are served family style, and families can reserve ‘family rooms’ or bunks, as desired. Hike from hut to hut, or just plan a single overnight. MID ATLANTIC & NEW ENGLAND Chesapeake & Ohio Canal, MD | Great Smoky Mountains NP | New England | Pennsylvania | Washington D.C.